Commercial drones, also known as Unmanned Aerial Vehicles (UAVs), are being used in a variety of innovative ways, including delivery. 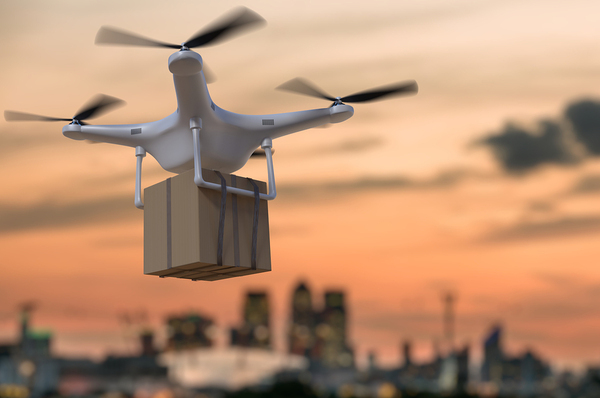 When you think of a drone delivery, you may be thinking of one of these small piloted machines delivering a package from Amazon or another large retailer, but drones have the potential to deliver far more important things than packages. Drone delivery could potentially save lives. When accidents and emergencies occur, time is of the essence. The medical community refers to the time following an accident or severe injury as “The Golden Hour”, since treatment administered during this brief time is most likely to be successful and set the patient on the road to recovery. 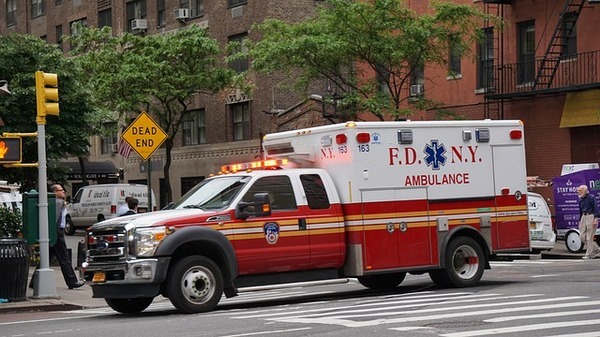 Reaching an injured person within that time can be difficult, though.. First responders in a rural community may find themselves traveling great distances to reach the scene of an accident, while first responders in urban centers may be hampered by traffic and construction. Drone delivery has been proposed as a way for first responders to get life-saving equipment and supplies to the scene of an accident or emergency ahead of them, allowing those on-scene to begin treating the injured before the first responders arrive. Drones can carry equipment, such as cardiac defibrillators, and may even carry blood supplies for on-scene transfusions. Saving victims of cardiac arrest may be one of the most important jobs of a drone delivery system. Statistically, people who suffer a cardiac arrest outside the hospital have a low survival rate — as low as 8%. This is because the defibrillation, which electrically restarts the heart’s rhythm, needs to be done quickly after a heart stops or goes into an irregular beat to avoid damage to the body. Reaching a cardiac arrest victim in enough time can be difficult, however, whether the victim is in a rural or urban location. 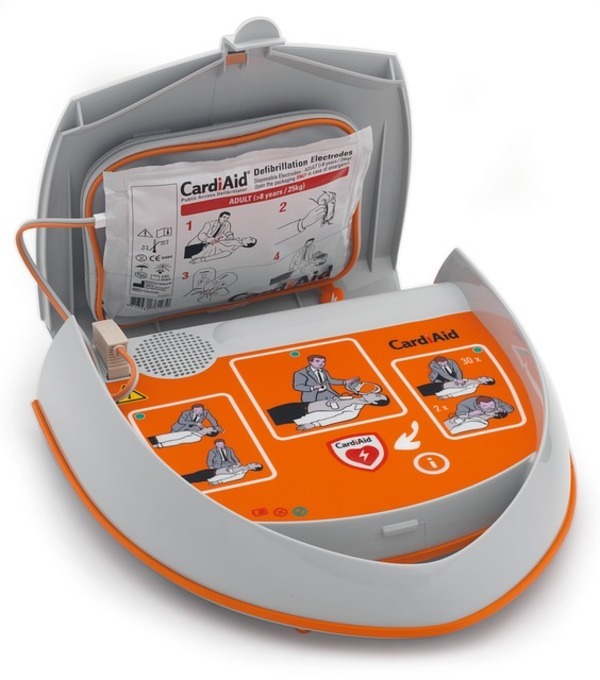 AEDs, or automatic external defibrillators, have become commonplace in many public spaces and come complete with the directions needed for any lay person to use them effectively. First response systems such as 911, would have the ability to dispatch a drone carrying an AED to the scene of a cardiac arrest, reaching the victim up to 20 minutes before an ambulance or other first response unit could reach them. Drone delivery of medical supplies is being tested and used around the world, and the benefits for both urban and rural communities are many. In countries such as Rwanda, drones are being used to deliver blood supplies to clinics in remote areas of the country. In other regions, drone delivery is proving invaluable for its ability to reach inaccessible areas quickly, bringing blood supplies, medications, and basic medical equipment to doctors and medical personnel. Drones could also be an important part of disaster response, whether they are delivering supplies from ship-to-shore, or taking medications into an area of disease outbreak, limiting the spread of the illness by reducing contact outside the infected zone. Insurance companies that provide drone insurance coverage are adapting to these new uses as well, providing comprehensive coverage for companies and organizations utilizing drones for these important deliveries. The possibilities of drone delivery are endless. The media focus on the novelty of food deliveries via drone, rather than on the life-saving potential of drone deliveries, has caused many in business and government to hesitate in embracing these versatile machines. Some see them as a novelty at best, and a risk to jobs at worst. The delivery of medical supplies and equipment would be the most important deliveries drones would be making, saving lives and bettering rural and urban communities everywhere. Gabriella Messina is an author who has written a variety of online content, and has covered a range of business and insurance related topics, including workers’ compensation and employee benefits, liability insurance, malpractice, and drone insurance, as well as other general business insurance topics.